The Premiers’ Plate is heading to Perth and a grand final at Optus Stadium would be the biggest thing since the Glory beat Sydney Olympic at Subiaco Oval in 2003. 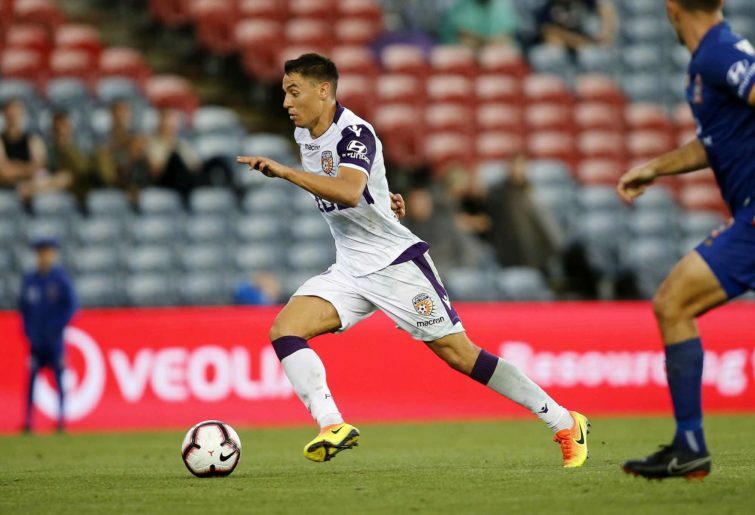 No one is stopping Perth Glory now. Their hugely impressive 2-1 win over Melbourne Victory meant Tony Popovic’s team not only passed their biggest test of the season with flying colours, it also moved them seven points clear of second-placed Victory at the top of the table. More importantly, it sent a clear message in the sort of fixture Victory have typically won more often than not in the past. 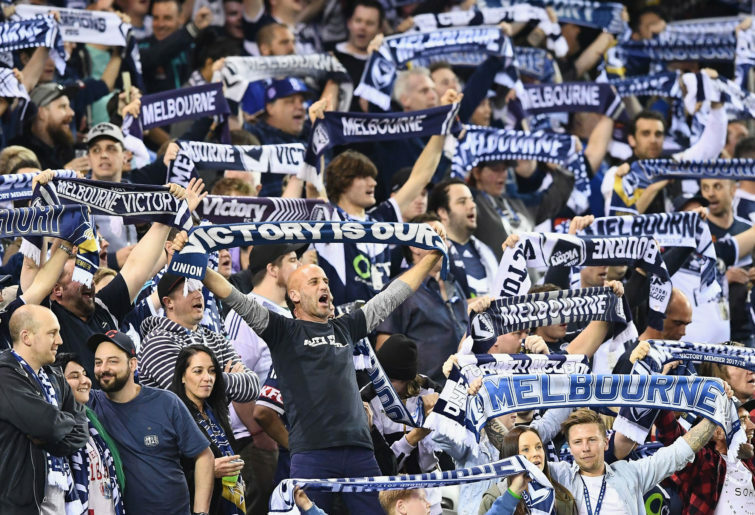 For the majority of the more than 25,000 fans in attendance who created a pulsating atmosphere at a buzzing AAMI Park, this finishing second business will take some getting used to. But there’s no way either Victory or an inconsistent Sydney FC will reel in the Glory from here. How good are Sunday afternoon Victory games? They’re the closest thing the A-League has got to a European-style matchday experience. And Jarred Gillett is the closest thing the A-League has got to a European referee. Whisper it quietly around those for whom every defeat is the fault of the referee, but the A-League is going to miss Gillett when he jets off to England to further his academic career and, with any luck, become a Championship referee. He’s by far the most level-headed official around, and Australia’s loss is clearly England’s gain as the best whistle-blower we’ve got gets set to leave our shores. His decision to penalise Corey Brown for handball just before the hour mark? Spot on, in my opinion. Victory fans will argue that Brown’s handling of Neil Kilkenny’s flick wasn’t deliberate, but Brown simultaneously thrust his arm out at the same time Kilkenny played the ball and in doing so prevented Diego Castro any chance of running onto the pass. Even the second point of contact impeded the Glory, since Brown effectively batted the ball behind him with his trailing arm. It was one of those decisions that’s open to interpretation, but as harsh as it might have been on Victory it would have been harsher still on the visitors who had just seen a goal-scoring opportunity denied. Lawrence Thomas was still good enough to almost save the penalty, and how different might the complexion of the game have been had he kept out Kilkenny’s spot-kick? But if Glory were lucky to score their first, then their second was a reminder of why they’re favourites to take home the title. Chris Ikonomidis has been one of the signings of the season, and despite the fact that his cross to Diego Castro came at an awkward height, the Spaniard is simply too good a player to have failed to connect with his acrobatic volley. That Kosta Barbarouses drilled home a reply to set up a grandstand finish was the least Victory deserved, but the hosts clearly missed the cut and thrust of beanpole striker Ola Toivonen. There’s simply no stopping Glory now. With nine games still to play, they’ve got the premiership sewn up. And the rest of the league will have to play catch up, including a Sydney FC team whose pedestrian display in their 2-1 defeat to Brisbane Roar on Friday night should have alarm bells ringing. The Sky Blues were in complete control until Danny De Silva went off, after which Brisbane Roar bossed the remaining quarter of an hour. And despite the small crowd on hand, the noise when Dylan Wenzel-Halls smashed home that unstoppable piledriver to win the game was immense. It was a reminder that for all the A-League’s problems, there are still plenty of people who care. They should start making some travel plans to hit the west coast of Australia, because Perth Glory will be hosting finals football once again.